Let me recap my take on “historical method” in the context of historical Jesus studies and the Christ Myth theory. A question about this was raised at an online video session today with Phil Robinson, Richard Carrier, Dave Fitzgerald, Raphael Lataster and me. It was in response to Maurice Casey’s chapter that he titled Historical Method in his recent book. “Regrettably”, Casey manages to avoid telling readers anything at all about historical method but he does tell you a bit about the private lives and shocking political leanings of some dead historians. A historian needs to establish some fundamental facts about the sources at hand before he or she starts pulling out data from them to make a historical narrative or argument. Let’s take the gospels as one set of sources to be used in investigating the question of Christian origins. What does any historian need to establish about these — or any — sources? We need to know when they were written. We need to know what they are, what sorts of documents they are. Their genre, if you like. This will include knowledge of how they compare with other literature of their day. We need to know something about their reception at the time they were written and soon after. We need to know something about the world in which they were written — both the political and social history of that world and the wider literary and philosophical cultural world to which they belonged. We need to know a little how the documents came into our possession. Through what authorities or channels were they preserved and what sort of manuscript trail did they leave. That’s the first step. We can very broadly classify all of this knowledge as the provenance of the documents. If we draw blanks on any of these questions then we need always to keep those blanks in the foremost of our minds whenever we read and interpret the gospels. Those blanks will help remind us of the provisional nature of anything we draw from the gospels. So for the first point above, the date of the gospels, we can do no better than accept a range of year in which they were written. 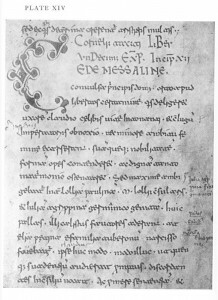 A combination of internal evidence and the evidence that they were known by others leads us (well, me at least) to a period between 70 CE and the mid second century (possibly known to Justin, certainly to Irenaeus). Those who argue for a date prior to 70 CE fail to take into account the apocalyptic character of the gospels. 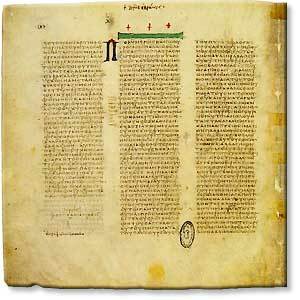 Apocalyptic literature (e.g. Daniel) is known to be about events in the recent memory of the readers. The pre-70 date also fails to take account of the internal evidence for an audience facing persecution, including persecution from Jews. There is no confirmable evidence for such persecutions of Christians until post 70 CE. If some dispute this and argue for a much earlier date then I’m happy to address those arguments, too; I would be willing to change my view if they proved to be plausible and if the scare Caligula gave with his threat to install a statue in the Temple was the best explanation for other features in the Synoptics. The question of who wrote the documents is of primary importance. Just saying the author was a Christian is way too broad and tells us nothing except the obvious. 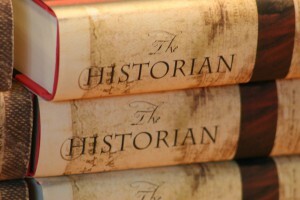 It’s no more useful than saying a work of history was written by a Greek historian. So what? We need to know what sort of Christian, where, when and why — whom was he writing for? why? Since we know none of these things — speculations and educated guesses change with the tides of fashion — we are at an enormous disadvantage in knowing how to interpret or understand the gospels. Is what we read a composite document composed over several editorial hands? That, too, is a most important question to answer. Again we are at a real disadvantage here. The above gaps in our knowledge of the gospels ought to pull up every historian short and make them wonder if it is worth even continuing to work with these documents. Certainly any historian worth his or her salt will always be tentative about any conclusions and data taken from them. This is the “What is it?” question. Are we reading a letter? A memoir? A biography? A what? What’s a gospel? Here scholarly opinions vary. Many say the gospels are a form of “bios” or “ancient life” — let’s for simplicity’s sake use the word “biography”. The name one most commonly hears as the authority on this view is Burridge. Superficially Burridge appears to make a reasonable case. That’s fine. That’s a possibility. One has to ask, however, why not all scholars are convinced. It doesn’t hurt to check out the range of views and hear the arguments for each one. It also helps to read several other ancient biographies, especially those referenced by Burridge, to better understand the arguments. One quickly discovers that the biography classification is not so simple after all. It lacks theory about different types of literature. Its dot-point comparisons could be viewed as a superficial comparison that miss more fundamental if implicit features of the gospels. Others have argued for apocalyptic literature. Some compare them with ancient “novels” or other popular fictional types of writings. Some see in them strains of Greek tragedy even though they are in prose. To make the problem even more difficult we know that writers, including ancient ones, sometimes imitated a genre to create an impression that they are sending a certain message when in fact they are meaning something else. Satire is an example. Narratives can also be symbolic or allegorical. This is a critical question that needs to be resolved before we can know how to interpret what we are reading. You’ll notice how the question of genre or the nature of our documents potentially could be more readily answered if we knew more about their provenance and authors. Again, if we admit any doubts about the nature or genre/s (a literary work can blend multiple genres) of our documents then any interpretation we embrace must again be held tentatively in the knowledge that it could be overturned if we are wrong. To answer this question it helps if we read widely the literature known to be from around the same era as the gospels. That includes Jewish, Greek, Roman and anything else. It also helps to become familiar with how literate classes learned, what they learned, and so forth. When we do all of this we may begin to see threads in common across the different forms of literature. We may begin to recognize relationships between the gospels and certain other writings. All of that is essential information. What do we make of what we are reading? Is it a true story? Is it partly true? Based on true persons and events? Obviously our conclusions from the above two steps will have some impact on our answers to these questions. Narratives, even ancient fictional ones, certainly can and sometimes do involve persons known to have a real historical existence. And probably most ancient fiction is known to contain scenes based on real ethnic groups, geographic areas and cities. What I find interesting is asking the question: How do we know, say, the Galilee in the Gospels was a real place? How do we know, say, Pilate was a real person? Don’t think this is a cynical question. It can be even more challenging and interesting if we ask it of other ancient literature – or literature of any era. It’s a vital question. We don’t want to assume. How do we know Julius Caesar existed? Maybe that’s too easy because of the tangible records in coins and monuments. But how do we know the ancient accounts that he conquered Gaul — including the one claiming to be by Caesar himself — are true? What about Spartacus? Or Hannibal? How do we know what to believe in Tacitus, in Polybius, in Josephus? Sure we trust the text books and our teachers. But how do they know and how can we know if what they think they know is really true? If we can’t answer that question I am not sure we are really in a position to ask the same question of the gospels. That’s because the gospels have so many more problems than other sources — such as uncertainties about their provenance and authorship as well as the sort of literature they are. The more details in a work that can be independently confirmed as historical and the fewer details that can be proven to be false, the greater the confidence we are entitled to have in the larger narrative of that historical work. (and this one is most important) . . . information in the documents can be independently verified. Of course there is probably no ancient historical work that can be independently confirmed in every detail. So we take the next best step. The more details in a work that can be independently confirmed as “historical” and the fewer details that can be proven to be false, the greater the confidence we are entitled to have in that work’s overall narrative. Our confidence in a work is also increased if the author explains both who he is and what sources he used. But we can’t be naive. Take Herodotus for example. Generations of scholars took for granted the claims of Herodotus, the “Father of History”, that he traveled the world and collected his information first hand. More astute scholars in recent years have taken a closer look and presented very cogent arguments that his claims were mostly fiction. He did not read the monuments or interview the people he claimed he did. His history is an attempt to imitate reality. It has even been analysed as much a “theological”-like narrative as is the Primary History (Genesis to 2 Kings) of the Jewish Scriptures. In place of Yahweh and the Temple is Apollo and the Delphic Oracle. It is a lesson for the Athenians to fear god and humble themselves before him lest they suffer the same fate as arrogant nations of the past. So everything needs to be tested. We can’t assume anything. Knowing more about genre and the wider literary environment in which Herodotus wrote helps us determine the level of trust we can have in his historical claims. The more we know about the personality and social and political background of an author the more we can understand the what he is likely to want readers to believe and know and what he is does not want them to know or understand. The more we know about the historical events that may have had traumatic impacts on authors and audiences the more likely we will be to understand why a particular work dwells on certain themes. And that’s about all my idea of “historical method” is. There’s a lot more that can be built on this foundation but that takes us into the questions of the philosophy of history and what kind of history we want to write — whether a gripping story or a clinical analysis of source materials or an argument for social change etc etc. One thing should be clear. This method is really just the nuts and bolts of what any investigator of the past should follow. I think most historians do follow something like this although in many cases the certain questions about source materials have been long settled and implicitly understood. That is, they are taken for granted. Sources like the gospels, however, cannot be taken for granted. We have inherited their status as essentially historically true documents from the Church. They are the key documents of a religion that teaches faith in a historical event. 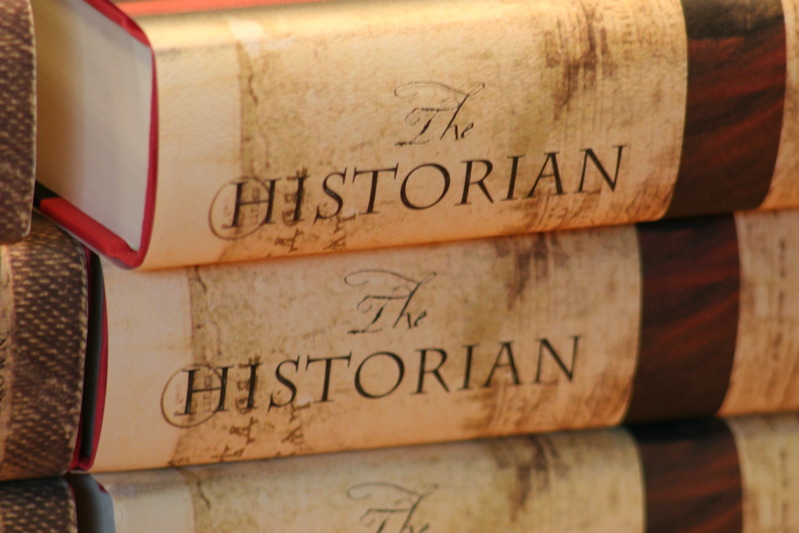 Historians need to be conscious of this background — it is easy to overlook since it is part of the culture we have grown up with — and make an extra effort to test the foundations. I don’t think anything I have said here would be controversial among historians. 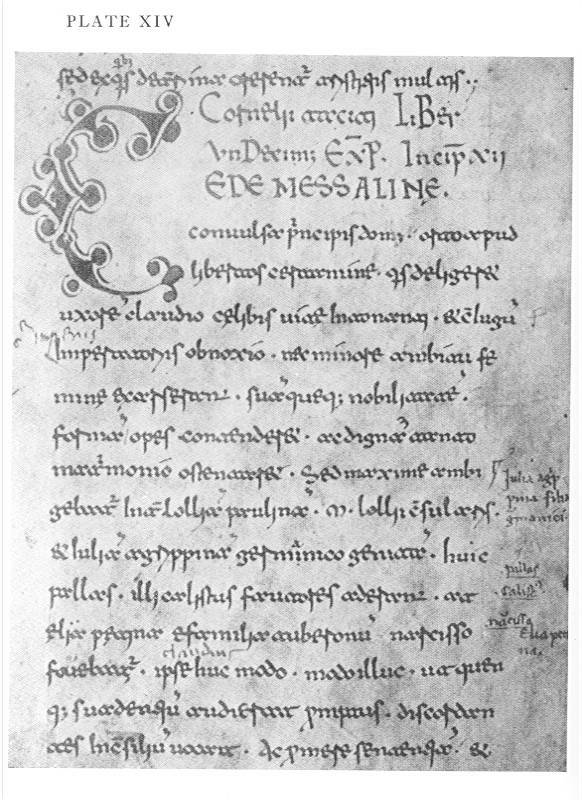 Most theologians studying Christian origins appear to assume that the gospel narratives contain at least a very broad outline of historical events. I don’t see that any harm could come from them stepping back and asking how they know that that’s so. Even better, I think if they threw out those silly “criteria of authenticity” (they know they are riddled with logical fallacies and inconsistencies and contradictions) and tested their assumptions along the same lines other historians test theirs when they encounter new documents, then we could see some real progress in the exploration of Christian origins. And forget that silly question about mythicism. Just follow where the evidence and sound method lead. Now, Maurice, you were saying . . . .? Posted on 2014-03-16 12:06:51 GMT+0000 by Neil Godfrey. This entry was posted in Historical Methods and tagged Historical Method. Bookmark the permalink. If you systematically doubt everything, you will absolutely be able to deny everything! (E.g. you could doubt that the present day NYC is where NYC was in 1790; or that Julius Caesar wrote the Gallic Wars; or anything else) I’d suggest you read the archaeological scholarship on Nazareth. Yup, and they could have made up Caesar Augustus! But, well, they probably didn’t. I’m afraid that no matter how hard we try to focus their attention on method, they will disunderstand us and accuse us of trying to erase history. Not to mention the fact that it is all quite personal. toejam: Carrier’s book ‘On the Historicity of Jesus’ is scheduelled for release in April (although it’s been delayed so many times already, it could be longer). And on the other side, Maurice Casey has a book coming out defending the historicity of Jesus. Do you have any plans on reviewing either of these, as you did with Reza Aslan’s book? Bart Ehrman: Probably not. I’m not interested in providing Carrier with publicity; I will consider saying a few things about Casey’s book though. Can anyone really imagine Ehrman or any scholar publicly trouncing Carrier in a public debate if given the opportunity? This “not wanting to give him publicity” is surely about as lame as it can get. But yes, that is what it’s about. Ignore and then claim the matter was settled long ago. Ehrman is in effect saying that that’s his strategy. Ehrman is probably still chapped because Carrier called him out for doing some of the sloppiest of sloppy “research” for his historical Jesus book and Ehrman had no real way to respond to him because his book was terrible. Ehrman’s book was so full of things that were obviously wrong and that could have been cleared up with a basic re-read of the literature (or in some cases, a quick use of Google – such as to confirm the credentials of people he decided to attack for not having proper credentials) that I’ve found myself questioning other things he’s written. I went back to skim through “Forged” and now I’m wondering about every single claim he makes in the book and thinking that I should probably go check his sources for myself. Not because I expect that he’s outright lying about anything, but just that I’m worried that his summaries of arguments from other scholars in “Forged” might be completely off the rails because of the mistakes he made in “Did Jesus Exist”. Ah yes, I’m sure you’re right. To give an idea of the quality of Ehrman’s research, he has just slammed Carrier for reviewing Casey’s book – a book Ehrman claims ‘is not out yet’…..
Can’t Bart get his graduate students to do any research for him nowadays, or are they all too busy? The real concern here is not so much Bart’s “quality of research” but his obvious propensity to interpret what he hears in a way that accuses Carrier of dishonesty. He’d sooner believe Carrier was dishonest and unprofessional than that he might have been mistaken or misinformed for assuming that the book was not yet published. Ehrman will probably trash it without reading it, just like James McGrath is liable to do. And on that, Richard carrier will have a field day! Here’s an interesting concept for a debate: Get two scholars to debate “Jesus of Nazareth: Man or Myth.” Oh, and they’re both atheists. Richard Carrier says Jesus never existed. Zeba Crook says he did. The event takes place Saturday night, April 5, at the Centrepointe Theatre in Ottawa, Ontario. More information right here. I’ll post the video if/when it becomes available! IMOH this post could be placed on the sidebar. Reason being, it lays out what your position on historical methods is in an explicit way. It goes without saying that it may change over time with new evidence etc.